I just want to know what your guys thoughts are im this device. You think its going to be a good variant on the 1520? What specs that are unanswered do you think will come with it? And what other devices besides the 1520, 929. And RT tablet and 525 do you think they'll announce? More WPs or different ones? It looks to be 3 Lumias (2520, 1520, 525) and 3 Asha's (Asha 500. 502 and 503). Makes sense that 929 will be announced somewhere else than Nokia's big global event, like these variants have been announced so far. Verizon will do a press release with Nokia on their pages or there will be separate event. That I doubt. My prediction: 2520, 1520, 525, 503, 502, 500. All above make total sense as we have seen leaked pictures of 2520, 1520, 503, 502 500. Only one we haven't seen is Lumia 525. 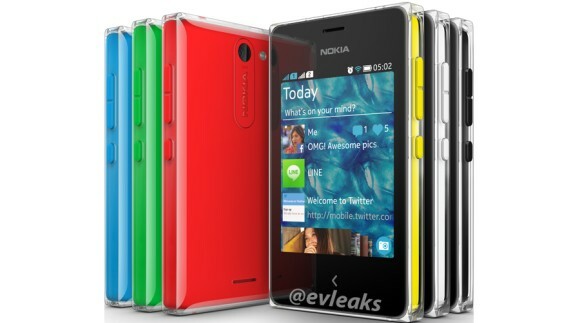 With Asha's Nokia is introducing new design on their low end in Nokia World. All above make total sense as we have seen leaked pictures of 2520, 1520, 503, 502 500. Only one we haven't seen is Lumia 525. Peek the link no. 1 I posted above.